Ray Mabus is the 75th United States secretary of the Navy. He leads the American Navy and Marine Corps and is responsible for an annual budget in excess of $150 billion and almost 900,000 people. 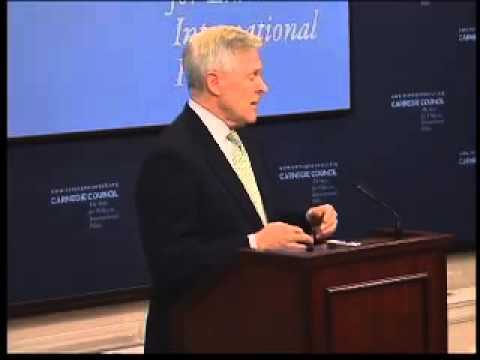 Prior to joining the administration of President Barack Obama, Mabus served in a variety of top posts in government and the private sector, including governor of Mississippi from 1988 to 1992 and ambassador to the Kingdom of Saudi Arabia from 1994 to 1996. In June 2010, President Obama asked Secretary Mabus to prepare a long-term recovery plan for the Gulf of Mexico in the aftermath of the Deepwater Horizon oil spill. After extensive travel and many meetings, his report "America's Gulf Coast: A Long-Term Recovery Plan After the Deepwater Horizon Oil Spill" was released in September 2010. The report was met with broad bi-partisan support. Mabus has been awarded the U.S. Department of Defense Distinguished Public Service Award, the U.S. Army’s distinguished Civilian Service Award, the Martin Luther King Social Responsibility Award from the King Center in Atlanta, the National Wildlife Federation Conservation Achievement Award, the King Abdul Aziz Award from the Kingdom of Saudi Arabia, and the Mississippi Association of Educators' Friend of Education Award.